When it comes to electronics giants like Panasonic, college students form an important consumer segment. With expendable cash and desire for the latest in gadgets they are an important demographic. To reach them directly, we at RWP, organized interactive session where the college students were informed of a number of apps that can be used for educational purposes. 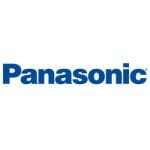 This led to increased brand awareness for Panasonic.